If you are thinking about your 2019 wardrobe and how it needs to look, you've got Anveshana's line of daylong dresses, tops, and shirts to choose from. As the saying goes "new year, new me". And if you are looking to up your #OOTD game, say hello to Anveshana. 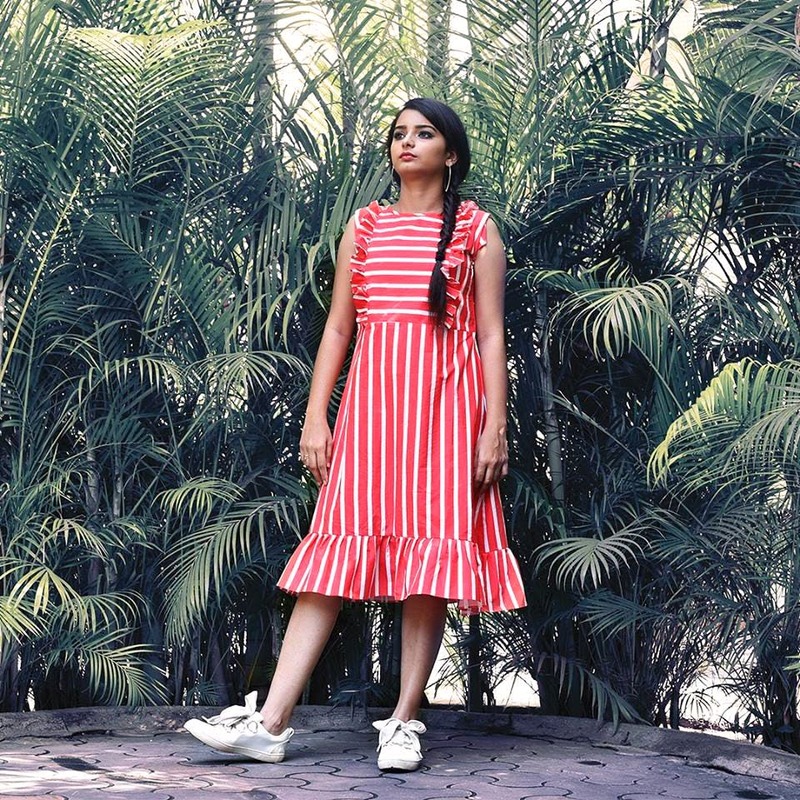 The in-trend label started by the couple, Akshitha Vasuki and Sandheep, is all about creating pieces that have a very one-of-a-kind minimalist design approach. Their collection, split into four categories - daylong dresses, jumpsuits, shirts, and tops - features a whole lot of contemporary cuts and styles that will interest you. Think pleats, button-downs, checks, layered, and asymmetric cuts. The collection of daylong dresses are what you will dig, given that there's a whole range of chic as well as cute pieces perfect for your 9-6 routine as well as brunch with the squad. We are talking about monochrome dresses that come with Peter Pan collars as well as burgundy wrap around dresses with front cross-strings and overlapped sleeves. For those who like a lot of bright colours, there's polychrome maxi dresses and sky blue box pleated skirt-dress. There's also checks and polka dots, ladies, so be sure browse through the website in its entirety. Should you find something that you like, you'll be happy to know that there's free shipping on all orders. Because they have a limited range of sizes, you might find their measurements do not match your standard measurements. But luckily you can reach out to them for customisation and sizing queries.